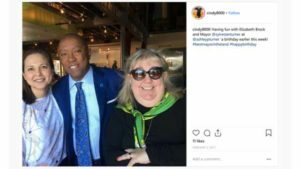 Houston lobbyist Cindy Clifford thinks Sylvester Turner is the best Mayor in the land. At least that’s what she claims on Instagram all the time. 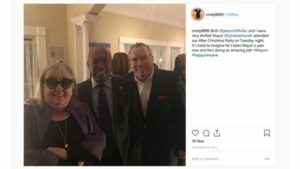 No accounting for taste, but here is a chance for the “Best Mayor in the Land” to prove ethics matters. A chance for him to prove my suspicions wrong. Order an investigation into Cindy Clifford today to see if she’s breaking the law on lobbying reporting. We are waiting. Houston City Hall lobbyists have to register and account for the money they spend trying to influence our public officials. 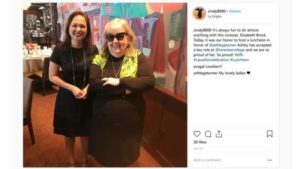 Cindy Clifford is a lobbyist for some big players, including Republic Waste, Yellow Cab, Kelsey Seybold, Comcast, Cigna, Andrews Kurth, RPS Klotz Associates, HOK, and SP Plus Corporation to name a few. 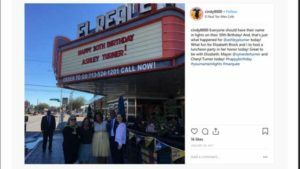 When we were investigating that plum hand-picked government job the Mayor’s daughter Ashley Turner got from Lone Star College a few months ago, we noticed on Instagram Cindy Clifford had hosted a party, along with CenterPoint Lobbyist Elizabeth Brock, to celebrate the cool $85,000 a year job Ashley got without having to go through the trouble the rest of us do competing with anyone else. 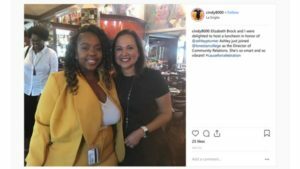 The pictures from 7-23-18 are from when Ashley Turner got the Lone Star College job. Maybe Clifford and Brock think Ashley is the best Mayor’s daughter in the land. 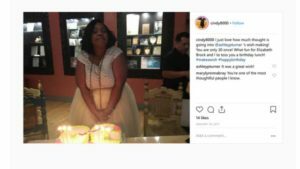 We also found this invitation to Ashley’s 30th birthday party in January 2017, hosted again by guess who? Cindy Clifford and Elizabeth Brock. 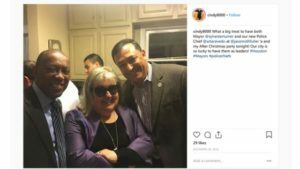 On July 4th, 2018, Cindy Clifford hosted a fireworks party the Mayor attended, and after Christmas there’s yet another Clifford hosted party where the Mayor and the Police Chief both came. 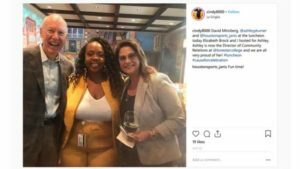 Food and Drink count in lobbyist reporting by the way, but Cindy probably knows that. The two from 12-28-16 and 12-29-16 are for the after Christmas party. 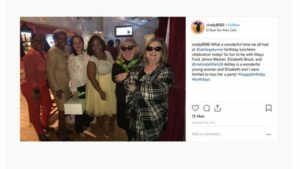 Cindy Clifford also hosted a luncheon on May 8th, 2017 for someone who isn’t related to the Mayor but is clearly an important public official in her own right. 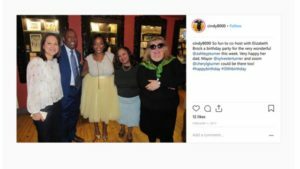 Marvalette Hunter became Mayor Turner’s Chief of Staff on April 3, 2017, and Cindy, who already thinks Sylvester is the “best Mayor in the land” must have been all exuberant that Marvalette was now working for him. 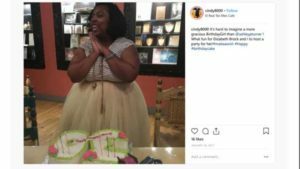 Today we asked to see all the documents showing any expenditures by Cindy Clifford since January 1, 2017. There aren’t any. Maybe in between attacking Houston firefighters who risk their butts for his family and mine, the Mayor could order an immediate review of all City Hall lobbyists to see who is reporting the money they spend on public officials and their families. He could direct the Houston City Attorney Ron Lewis to fight for transparency. Oh, wait a minute, Lewis is the City Attorney who has let the Mayor get away with illegally withholding public records. To be fair, Cindy Clifford is not just a lobbyist. 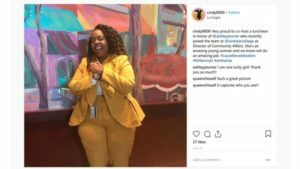 The best Mayor in the land appointed her as a member of the powerful Harris County-Houston Sports Authority and she got a piece of the lucrative Houston airport food concessions contract. Clifford runs a PR firm that must have some expertise in airport food too. Maybe Dolcefino Consulting should offer to throw a lunch for Sylvester or Ashley or Marvalette. We could post it on social media. Cindy likes to talk about her political entertaining.